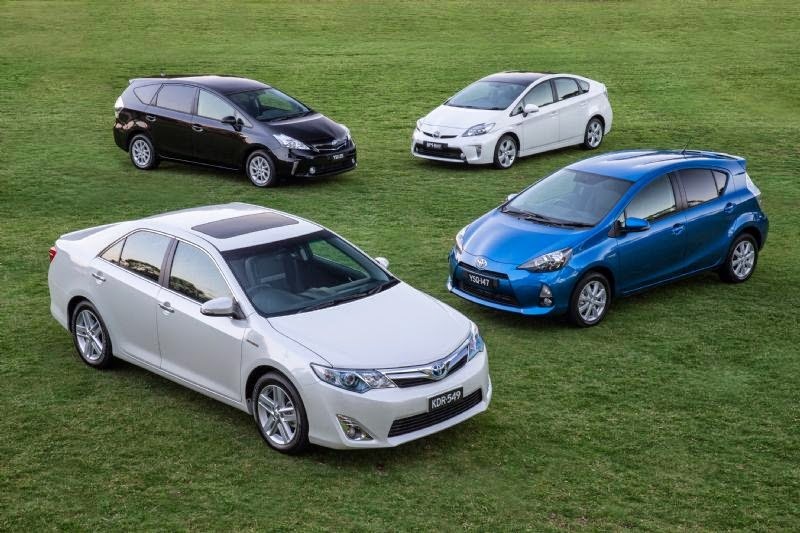 Toyota has posted an impressive global milestone with confirmation it has sold its seven-millionth hybrid vehicle. Firmly established as the world's largest producer of hybrid vehicles, the tally includes 3.3 million sold in Japan, 2.5 million in the United States, 770,000 in Europe and more than 67,000 in Australia. The latest one-million sales were achieved in record time - just nine months after Toyota (including Lexus) reached the six-million hybrid threshold in December last year, which doubled the three million total passed in February 2011. Globally, Prius accounts for almost half the overall total with 3.36 million sales - making it easily the world's best-selling hybrid vehicle. In Australia, the locally built Camry accounts for more than half the 55,442 hybrids sold by Toyota dealers, followed by Prius with almost 19,000 sales. Local Lexus dealers have sold 12,244 hybrids, led by the CT 200h and the RX 450h. TMC estimates its hybrid vehicles have cut carbon-dioxide emissions by approximately 49 million tonnes* and saved approximately 18 million kilolitres* of fuel compared with vehicles of similar size and driving performance using petrol-only engines. Toyota began selling the Prius in the Japan in 1997 and in Australia in 2001. Camry Hybrid has been built and sold in Australia since 2010 while the Prius was expanded into a family of three vehicles in 2012 with the addition of the Prius c city car and the Prius v seven-seater. Over the 17 years since the first Prius was launched, Toyota has endeavoured to encourage the mass-market adoption of hybrid vehicles, which use less fuel and emit fewer tailpipe emissions than equivalent petrol-only models. Toyota has positioned hybrid and its related developments as core technologies for the 21st century. The company therefore plans to continue working to enhance performance, reduce costs and expand its product line-up to create vehicles that are popular with consumers.